This editorial is part of WCPO's Heroin Project: How Do We Respond? Dan Meloy, Colerain Township’s top public safety guy, was canvassing a neighborhood Saturday morning sticking fliers under doors urging people to show up for a Wednesday night meeting on the heroin crisis. Meloy would stick the flier in the door unless the door was open. Then he’d knock, and talk. 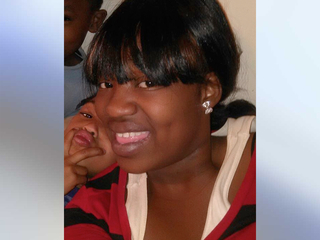 Shatevia Nelson was found dead from an OD in South Fairmount. At his first door knock, a middle-aged African American woman answered. When Meloy began his spiel about the heroin meeting, the woman shook her head. Her niece had died of an overdose just two weeks ago , and had been left to die on a sidewalk in South Fairmount. A few houses later, a 40-ish woman was standing in the drive talking on her phone “You hear that?” she asked her caller. “He wants to talk about heroin.” Someone in their family, a “baby mom,” she said, was caught up with the drug. And she remembered the overdose that happened on Mother’s Day two years ago in the woods next to her house. A few more houses and another open door. Upon hearing about Wednesday’s meeting, the resident, a man in his 30s, had a question: “Are you arresting or treating?” He was asking, it turns out, because a family member, a young woman, was fighting addiction. One street. Three door knocks. Three people caught up in dope. That street, Oakmeadow Lane, is not unusual. On Saturday, Colerain Township volunteers also hit Jonrose, Sheldon, Pippin, Lapland and about a dozen others, all streets where an overdose happened last year. Colerain paramedics have been called to respond to more than 500 overdoses since 2012 and the number is increasing every year. Heroin and pain pills are all over. But Meloy and his team in Colerain recognize they have a problem and are doing something about it. Dan Meloy, Colerain’s public safety director, went door-to-door to build support. Wednesday’s meeting is meant to build support for starting a needle exchange in Colerain. The effort deserves the community’s support. Needle exchanges won’t solve the heroin crisis. That will take a long time. But they are an important piece of the puzzle. The name change is important. Yes, addicts can exchange used syringes for clean ones. That can check the spread of disease, namely HIV and hepatitis, threatening Colerain and the rest of the Tri-State. That’s a public health response to a growing threat. And they give an incentive to needle users to turn in used syringes so they don't wind up on sidewalks and parking lots where kids and others can pick them up. But needle exchanges serve another purpose. Heroin addicts are notoriously hard to reach, until they overdose and the paramedics are called. By then, it can be too late. A mobile syringe exchange is an outpost where addicts can talk to sympathetic, trained professionals. It’s a safe place where they can find someone to listen if they want. That’s not insignificant. Lots of addicts live in shame. They don’t trust anyone. They’re treated like outcasts. When an addict is ready to rehab – and they have to be ready – they need someone to help them navigate. Someone they’ve talked to week after week at a needle exchange can be that person. The Cincinnati Exchange Project has been operating for a few years at a couple sites in Cincinnati. About 70 of its clients are in recovery from their addiction, says co-founder Dr. Judith Feinberg. Volunteers also train people how to use the overdose antidote Narcan, and have documented saving more than a hundred people from overdose deaths. Dr. Feinberg and her team would run the Colerain project. No drugs are used on site; that’s forbidden. Some counseling is available. Staffers can make referrals to treatment. Dan Meloy and his staff have done their homework. One businessman in the community has volunteered to host the van, in a vacant, fenced-in parking lot. Other businesses are supportive. Now it’s the rest of the community’s turn. Wednesday's public meeting is at 6:30 PM in the cafeteria at Struble Elementary School, 2760 Jonrose Avenue.